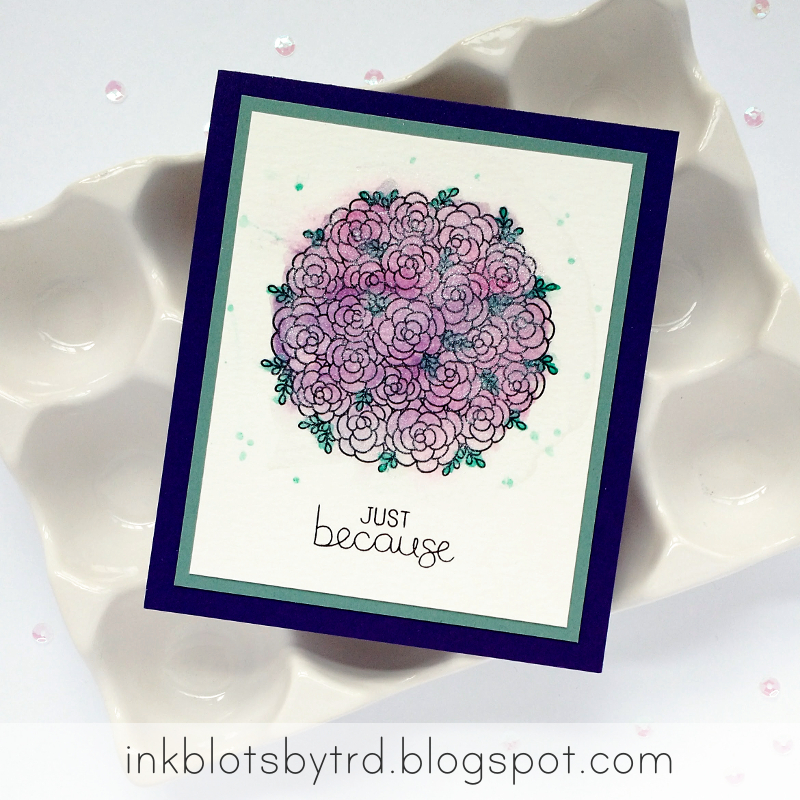 Just because...sometimes you need a card for no particular reason. I love this floral image from the Comfort & Hugs stamp set - it is large enough to carry a card with just a simple sentiment. I added a bit of watercolor and topped it off with a little bit of shimmer. It was easy to create (great for assembly-line style...I've got a few variations to share) and gives a beautiful result.